Every company is looking for ways to save money… but when buying sweepers, fork truck and other electrically-powered vehicles, driving down the initial purchase price could mean paying much more in the longer term. This is particularly true when it comes to traction batteries and chargers where the supplier may well be tempted to fit a cheap battery and a very basic charger. For the customer that will almost invariably lead to higher fuel bills, lower capacity (resulting in shorter shift length) and shorter operating life. It pays, therefore, to obtain the most appropriate (not necessarily the most expensive) battery and charger for your application. "The importance of achieving an optimum pairing with the battery is often overlooked to achieve the lowest initial purchase price possible,” explains Derek Anderson. "It’s rare that a battery and charger from the same manufacturer is the best combination and Manbat is unique in being the only major player in the UK able to specify the best combination of battery and charger regardless of brand. "The problem with an inferior quality battery is that it contains lower quality lead, and, on occasion, less of it. This lead tends to degrade faster, yield less charge and delivers a lower number of overall cycles. "What’s more, a low-cost battery does not respond well to accidental under or over charging, and, as the charge capacity drops, its utilisation plummets and it begins to fail. Often that means replacing that battery or suffering much reduced output. "Chargers are every bit as important… The best models on the market deliver improved energy efficiency, deeper charges, longer run times and more energy for every penny. As well as dramatically reducing energy consumption, these new chargers reduce costs per cycle, optimise shift lengths, cut CO2 emissions and can increase battery service life by up to 25%. Manbat works in close partnership with customers to meet the precise needs of their operations. "Through this, we achieve the best possible long-term outcomes, by reducing energy bills, honing maintenance regimes, maximising battery life expectancies and keeping operations running at optimum efficiency,” concludes Derek. But it isn’t only the quality of the product that matters but the service and back up behind it. 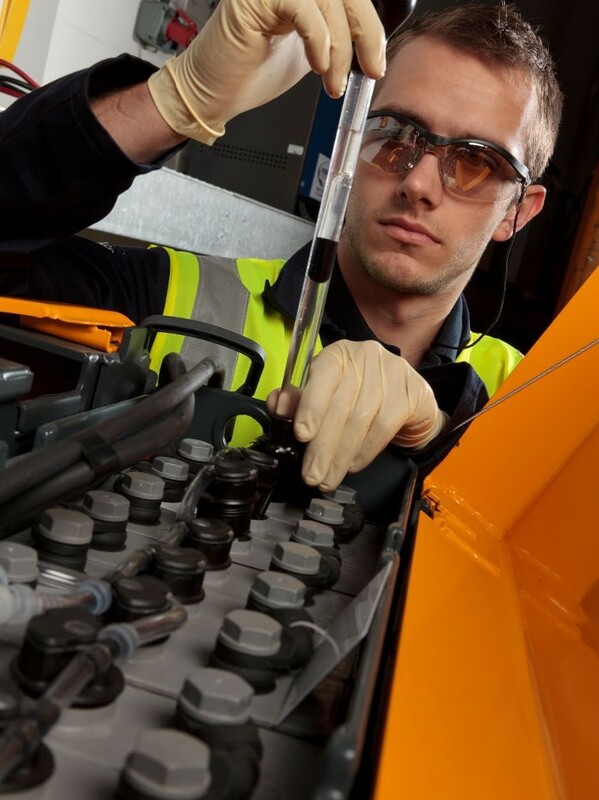 With the assimilation of PowerCell into its operations Manbat Industrial has created the largest and most comprehensive industrial battery sales and service network in the UK. More depots. More engineers. More coverage. For the end-user, that translates directly into better support: exactly where and when it’s needed.